Hot off the success of another great Captain America movie, Anthony and Joe Russo have their pick of projects, but they seem interested in getting back to their TV roots. The brothers, who served as executive producers on Community and Happy Endings after winning an Emmy for directing the pilot of Arrested Development, are already developing a show about a conniving family of pot dealers for Showtime. 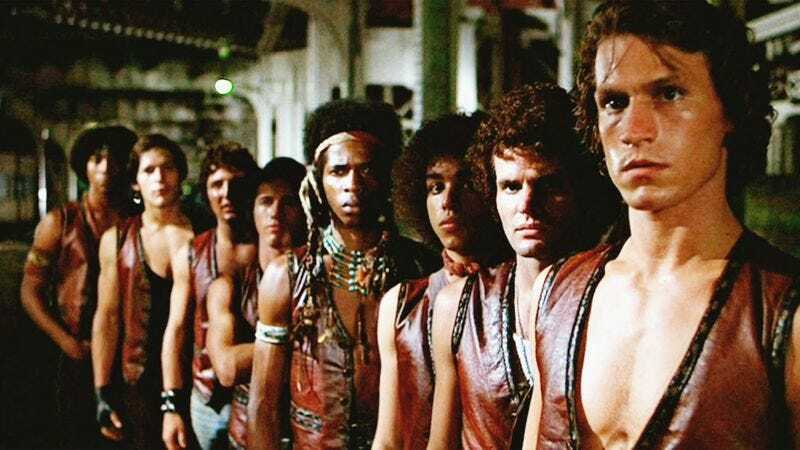 Now Deadline reports that the Russos are going to be mired in grime and crime with a TV adaptation of Walter Hill’s cult classic The Warriors. The one-hour drama will be a collaboration between Paramount, Hulu, and the Russos, who will executive produce the series. They’re still looking for a director, but Frank Baldwin, who’s also working on some John Grisham adaptation, is attached to write. The ’70s gangland action flick was adapted from Sol Yurick’s novel of the same name, which was itself inspired by a perilous Greek odyssey tale (though not The Odyssey). The Warriors was criticized for having flat dialogue and unrealistic action sequences upon first being released, but time has been kinder to it. This TV adaptation isn’t the only remake or reimagining of the film in the works—the late Tony Scott (Top Gun, True Romance) planned to update The Warriors and nix the more absurd gangs like the Baseball Furies. That project is reportedly still in pre-pre-production, but with Crank writer-directors Mark Neveldine and Brian Taylor at the helm. Neveldine previously told Screen Crush that his Warriors film is still in “rights hell,” but that he and Taylor intend to set it “five minutes in the future” with homages to Quentin Tarantino, Robert Rodriguez, and “other great directors.” So, uh, can you still dig it?